SSL or TLS is a transport level security, a de-facto standard for secured communication over web ( HTTPS) or file systems( sFTP/secure File transfers). It secures communication by providing message encryption, integrity, and authentication. Authentication enables the server and client to check that the other party is who it claims to be. Integrity ensures that a message sent by a client is received intact by the server, untampered. Encryption provides confidentiality by allowing only the intended recipient to read the message. Generate public key/ private key pair in a java identity key store. Copy the self signed certificate to trust keystore. Add the third party certificates ( root/intermediate) into the trust storeModify the setDomainEnv.sh to refer to correct trust store. 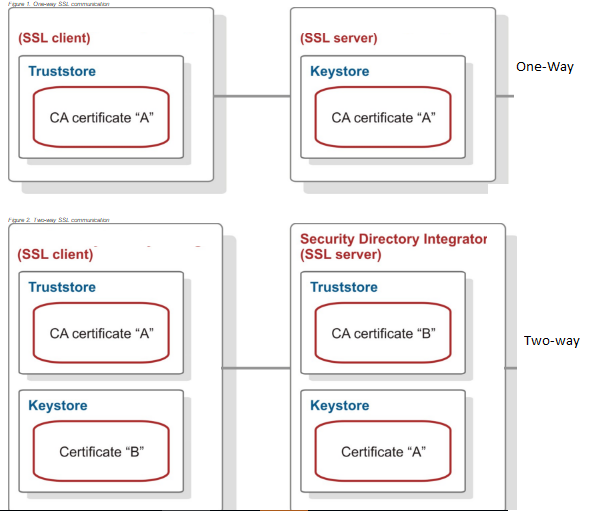 Refer to the above custom identity and trust stores from SOA managed server in weblogic. Enable SSL on a port. I would like to thank you for the efforts you have made in writing this article. I am hoping the same best work from you in the future as well. Your write up is a fine example of it.For additional information please visit our website. I simply couldn’t leave your website before suggesting that I actually loved the usual info your post is very useful to us thanks for posting this blog. Thanks for sharing.Please visit our website link. Nice blog, thank you for sharing your experience with us and your blog is so informative.